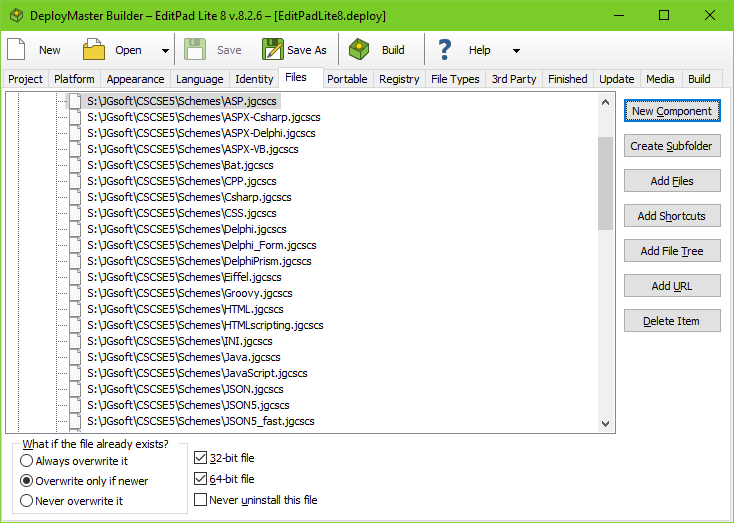 Fourteen steps are involved in packaging your software into a self-extracting setup using DeployMaster. 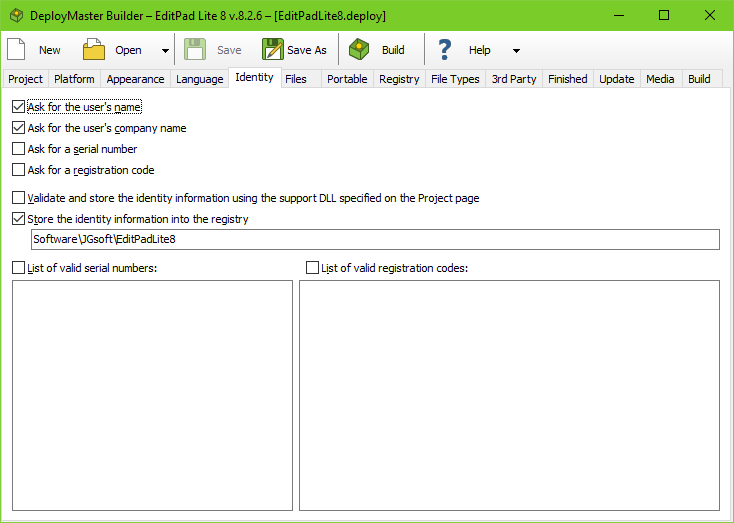 The DeployMaster Builder conveniently has one tab page for each of these steps. 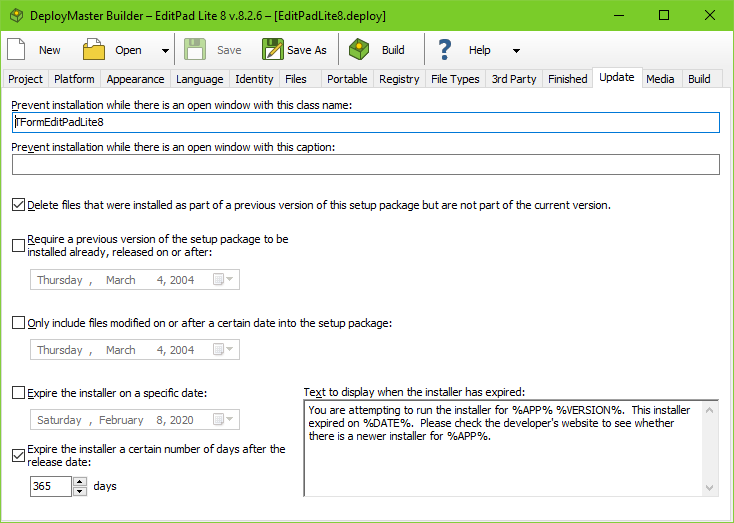 On the Project page, you can specify general information about the application your setup package will install. On the Language page, you can alter each and every piece of text used by the installation program. You can use this to create installation programs in any language you want, or to change the wording of some items to better suit your style. The strings are stored in separate language files that you can share between different installation scripts. 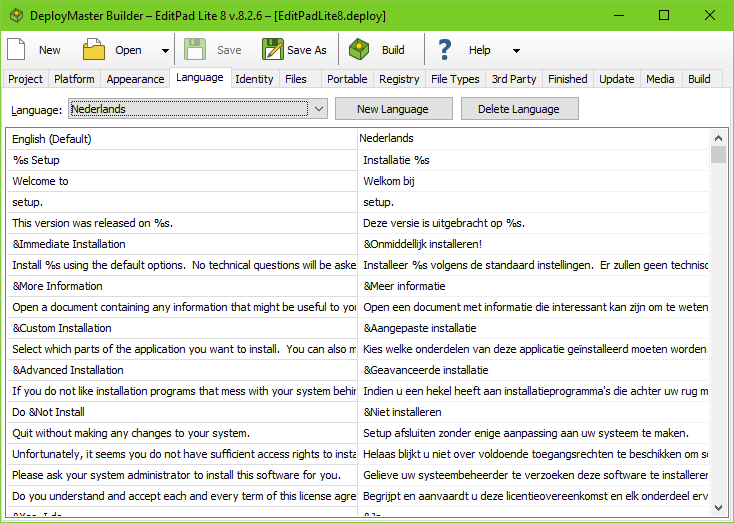 You can also download many language files from the DeployMaster web site. You can protect your installation packages with whichever licensing system you prefer. You can have DeployMaster ask the user for some information. DeployMaster will then pass this information on to a DLL that you can write in any language you want. 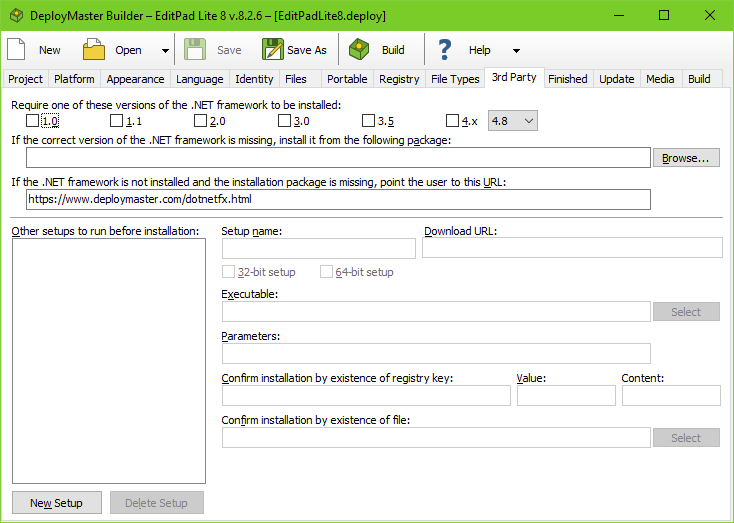 On the Files page, you will need to specify which files will be placed in the installation package and where (and if) they will be placed on the user's system. 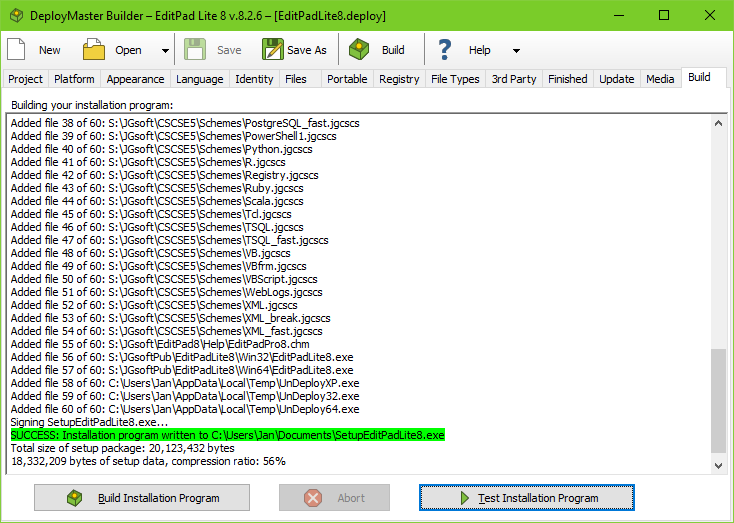 DeployMaster can create installers larger than 4 GB and even supports individual files larger than 4 GB. DeployMaster has the unique ability to install your application on a removable device, such as a flash memory card or USB stick. No changes are made to the host computer at all. 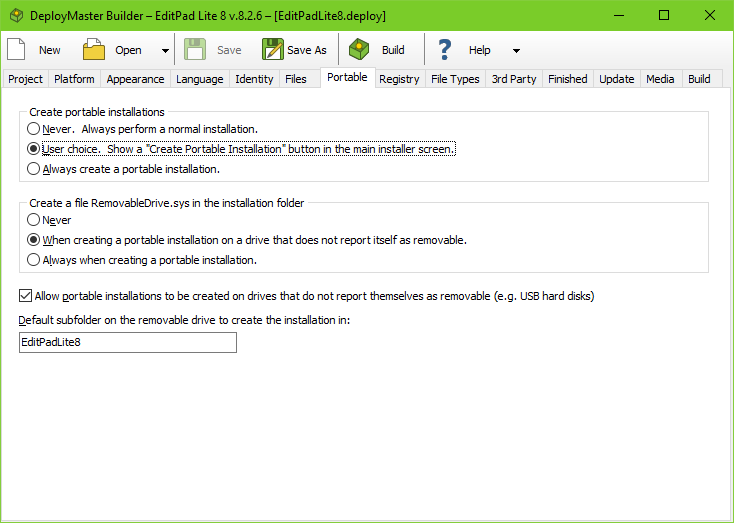 You can build installers that install to the hard drive only, to a portable device only, or either way. You can have DeployMaster create any registry keys you like. These will be properly removed when your application is uninstalled. You can also specify registry values and even entire key structures to be uninstalled, without having DeployMaster create them. So the uninstaller will properly remove any registry items your application creates after the installation. 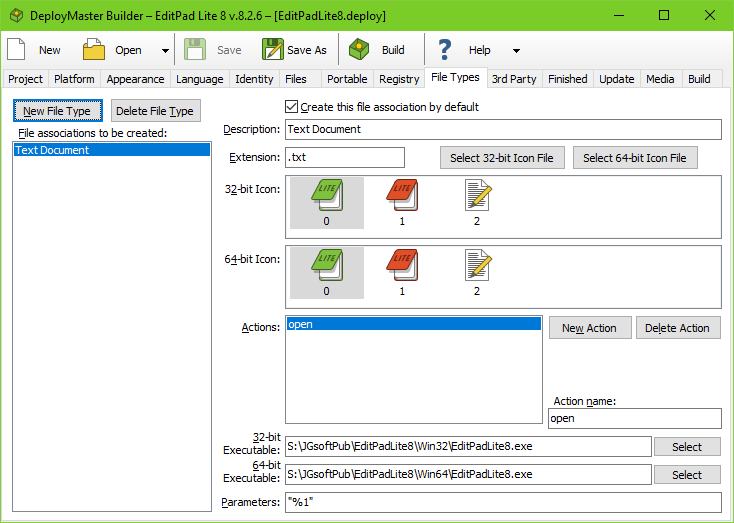 DeployMaster can associate your application with one or more file extensions. However, DeployMaster will let the end user make the final decision which of the associations you specified will actually be created. DeployMaster can deploy the Microsoft .NET framework and any other 3rd party applications and libraries your application depends on. 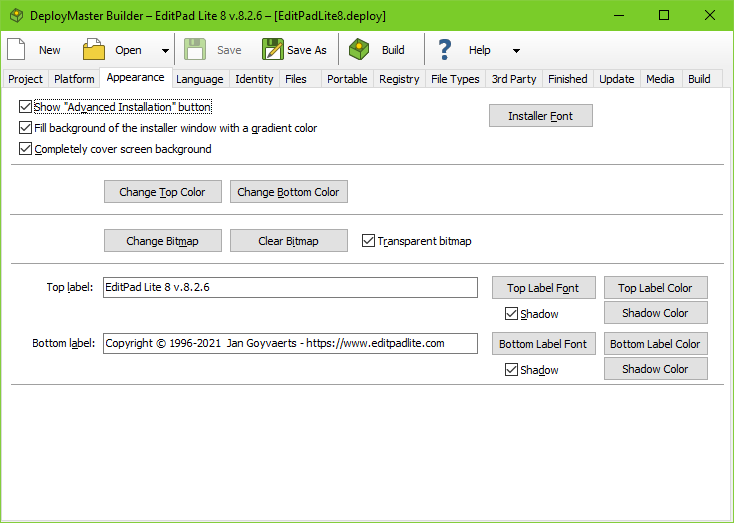 On the Media tab, you can specify to create a setup with integrated 3rd party installers, without them (running the installers from separate files or downloads), or both. On the Finished page you can specify what happens when the deployment of your package is complete. You can also specify if an application should be run before your package is uninstalled. 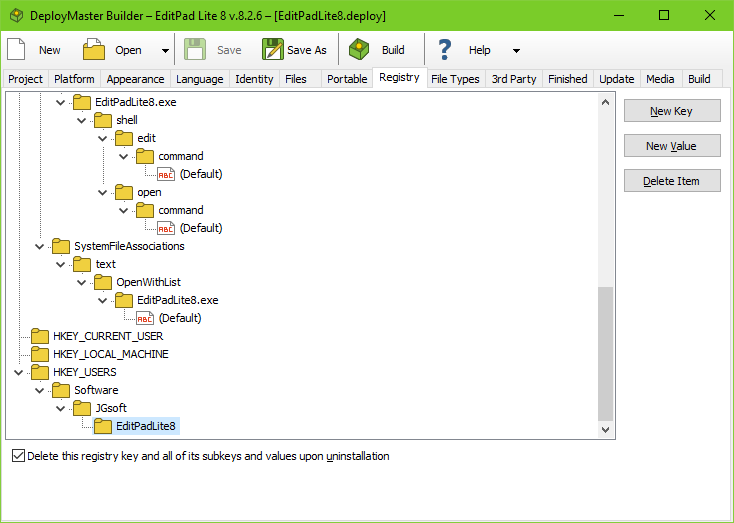 If your application makes changes to the user's computer which DeployMaster is unaware of, you can provide your own clean-up code. 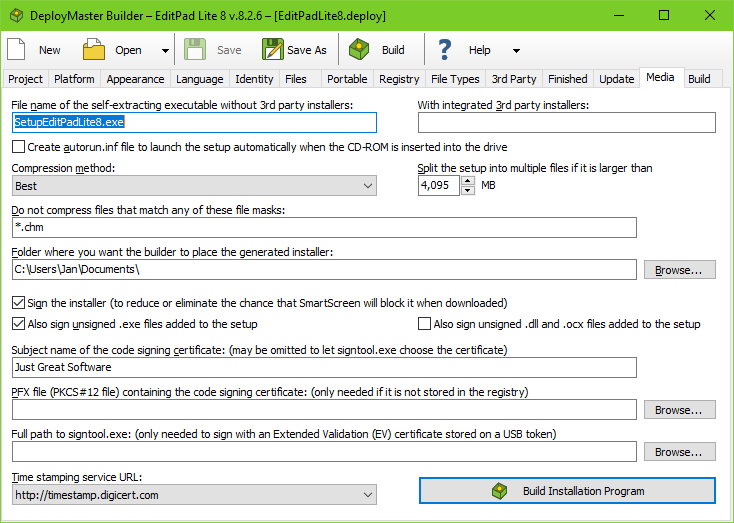 DeployMaster can automatically split your installer into multiple pieces for easy downloading or for spreading across multiple CDs or DVDs. 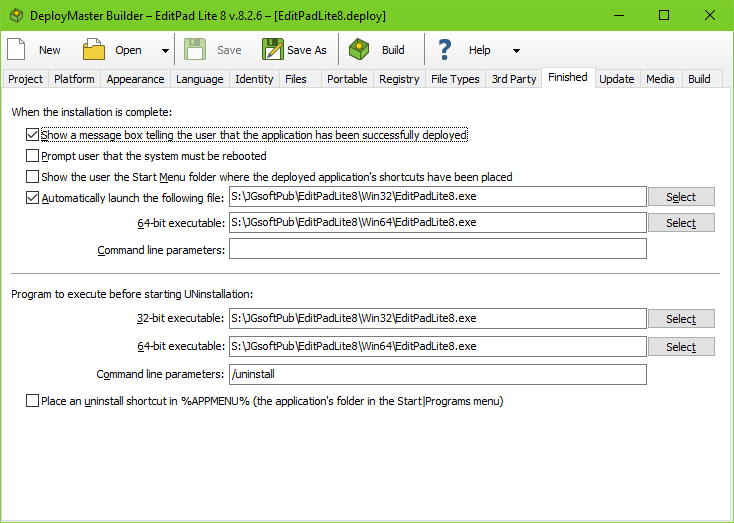 DeployMaster can digitally sign your installers and all the executables inside your installer. This makes the security warnings that Windows shows much less severe and gives users the perception that your software comes from a reputable company. 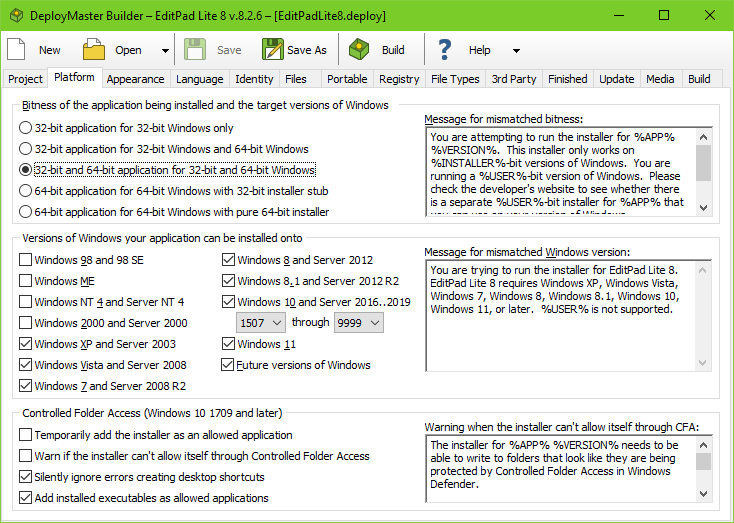 The Build page shows detailed progress while building your installer. When running DeployMaster from the command line, you can have the whole log output to the console, or only the most important messages (warnings, errors, and success). Download the fully functional free evaluation version.